After his Liberal Party’s surprise victory in the 2015 federal Canadian election, Justin Trudeau declared that "Canada was back" on the world stage. 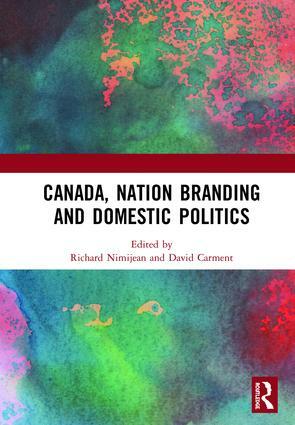 This comprehensive volume highlights issues in the relationship between articulated visions of Canada as a global actor, nation branding and domestic politics, noting the dangers of the politicization of the branding of Canada. It also provides the political context for thinking about ‘Brand Canada’ in the Trudeau era. The authors explore the Trudeau government’s embrace of political branding and how it plays out in key areas central to the brand, including: Canada’s relations with Indigenous peoples; social media and digital diplomacy; and the importance of the Arctic region for Canada’s brand, even though it is often ignored by politicians and policymakers. The book asks whether the Trudeau government has lived up to its claim that Canada is back, and highlights the challenges that emerge when governments provide optimistic visions for meaningful transformation, but then do not end up leading meaningful change. This book will be of great interest to students and scholars of political science, particularly those with a focus on Canada. It was originally published as a special issue of Canadian Foreign Policy Journal. 4. Canada's Feminist International Assistance Policy: For Whom is Canada Back? 9. Où donc le Canada est-il de retour dans le monde? 10. "Canada’s back" – can the Trudeau government resuscitate Canadian diplomacy? Richard Nimijean is Instructor III in the School of Indigenous and Canadian Studies at Carleton University in Ottawa, Canada. His research and publications focus on the politics of branding Canada and the connections between the Canadian national identity and its projection globally, public policy, and domestic politics. David Carment is Professor of International Affairs at Carleton University in Ottawa, Canada, and Editor of Canadian Foreign Policy Journal. His most recent books examine state fragility theory and policy and third-party intervention in ethnic conflict. He teaches conflict mediation, bargaining and negotiation, and Canadian foreign policy.